Pharmplexdirecct.com is the online pharmacy I am going o be reviewing in this article. I have done an extensive research on this vendor and I would be sharing every detail I have discovered about this vendor with you. This vendor is based in the United Kingdom where it was registered and incorporated in 1997. However, it appears their online operations started in 2009. They sell a wide variety of medications including vitamins and health supplements, family planning, erectile dysfunction etc. They claim to provide drugs to customers at a very cheap rate. So, I checked the prices of the popular erectile dysfunction drugs on this website to determine they truly provide drugs cheaply or not. In my search on their website, I was able to see popular erectile dysfunction drugs on their website. I saw Viagra and Cialis. They sell 4 tablets of 100mg Viagra for $75.31 which implies $18.83 per pill. On the other hand, 4 tablets of Cialis 20 mg is sold for $46.28 which implies $11.57 per tab. I must say for brand meds, this is much cheaper than the price in local pharmacies. Note that these prices are based on the exchange rate of pounds to dollars as at the time of writing this article. The drugs sold on this website appears to be FDA approved. Hence, they are safe and effective. This vendor accepts both credit cards and debit cards. On this platform, you can make use of Visa, Mastercard, Maestro, Delta, and American Express. I also checked for the delivery method used by this pharmacy. I was able to discover that for The UK and other European countries, Royal Mail and DHL Courier are used. Shipping within the UK is mostly free as long as your order is over $52. Orders delivered to other European countries via Royal mail International costs $12.87 for 1 item, $13.30 for 2 items, $13.96 for 3 items, $14.59 for 4 items. Items delivered via DHL Courier costs $29.33 for 1 item to 4 items. On the other hand, deliveries are done to Americas and the rest of the world via Royal mail international costs $13.69 for one item, $14.60 for 2 items, $15.92 for 3 items, $17.15 for 4 items. Items delivered via DHL Courier cost $40.89 for 1 to 4 items. The duration takes for the items shipped to locations within the UK is 1 to 3 days as items are dispatched the same day order is made. For other EU countries, it takes 3 to 6 days. And for Americas and the rest of the world, it takes 5 to 10 days. I have found out that this vendor does not have a live chat service. Hence, to contact their support team you would have to do it via phone on (+44) 0115 913 8204 or by filling the contact us form on their Contact Us page. 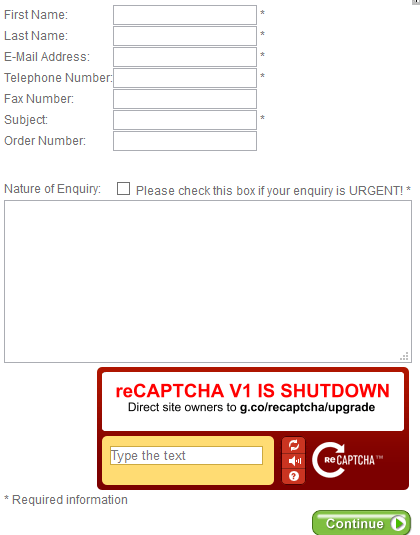 Here is an image of what the form looks like. This pharmacy allows the return of products bought from their platform. But they have stated that the product must be unopened and unused except damaged. They also stated in their return policy that products of medicinal nature can’t be returned because of hygiene. If you have cause for complaint or returns contact them on 0115 913 8204 you would get a returns form and a goods return authorization code. I was able to find numerous customer reviews of this pharmacy from a trusted source. Most of them were positive. Check the screenshot of a few below. Jane appears to be very happy with the services of Pharmaplexdirect.com. She bought meds for her horse and the the process and speed of delivery. She says “no hassle”. This other customer doesn’t sound too happy. The complaint was based on delayed delivery despite paying for the 1 to 3 days delivery. Instead of 3 days from what the customer says it took about 6 days. He ordered “29th August” and received order “4th September”. From these reviews, one can say this pharmacy is somewhat reliable and has a great reputation. I also decided to check out the customer reviews given in 2018 to see if Pharmplexdirect.com has maintained a good reputation or not. Jean is the reviewer here. Sounding fully satisfied, this customer commends the speed at which order arrived as order arrived the next day. He says “excellent service”. Monique gives this vendor only a 4-star rating but commends their service and fast shipping. She says “I was Impressed”. 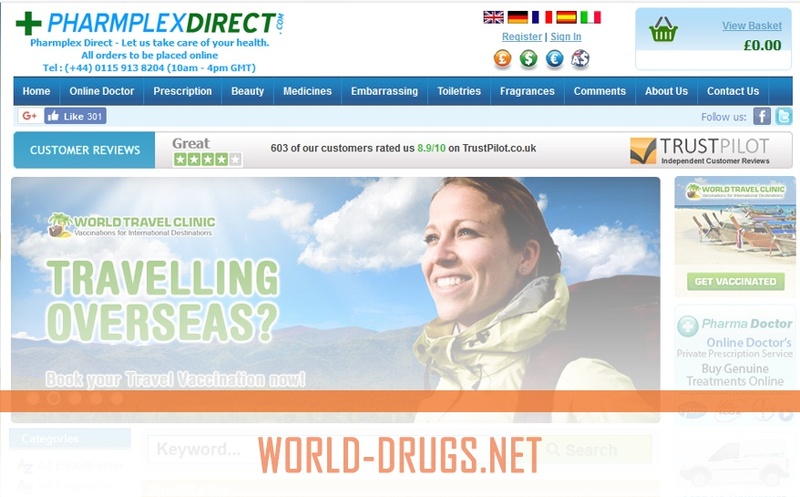 Therefore, Pharmplexdirect.com has maintained a great reputation over the years, consistently satisfying its customers. I have not left out discounts out of my research. I was able to find a voucher a great number of coupons on their website that gives access to discounts on various products. Nevertheless, they have stated that they would ship orders above $52 to the UK free of charge. Note that this amount is solely based on the pounds to dollars exchange rate as at the time of writing this article. Pharmplexdirect.com appears to be a good pharmacy offering great prices. Their drugs also appear to be FDA approved. The delivery of orders is also super fast in comparison to most online pharmacies. Though the delivery charges are a little bit high, it is worth it considering the speed. They lack a live chat service. Nevertheless, the fact that this pharmacy has is a great number of positive external reviews which attests that it is reliable and has a great reputation among customers. Without a doubt, I can confidently recommend this pharmacy to you.